Halloween is JUST around the corner. That’s right, you have less than two weeks to get your costume together, carve a pumpkin, AND stuff our faces with as much candy as we can. While we can always count on the original Halloweentown trilogy, Hocus Pocus, or Scream to get us in the Halloween mood, it’s always fun to put down the phone and turn back the clock to something that’s classically scary. Whether it’s a stereotypical slasher flick or a psychological thriller, sometimes a classic scare is way to go. Psycho is the perfect film for anyone looking for a film that’s both psychologically trippy and a bit of a slasher. Get to know the world’s creepiest hotel manager and son, Norman Bates, in this classic Hitchcock film. It’s a creepy horror staple and is one for every fan of Hitchcock’s or Bates Motel. After you watch this, you may want shower with a guard dog outside the bathroom. What would you do if you discovered that someone made a deal with the devil and now you’ve just given birth to a demon baby? Mia Farrow stars in this genuinely terrifying flick, which might make you rethink your future parenting plans. Exorcisms are a horror movie staple. For some reason, there’s nothing scarier than a priest brought in to save a child possessed by evil through prayer. This film may be the most terrifying films about an exorcism. From the creepy story to the dated look of the film, high definition exorcist films just pale in comparison. 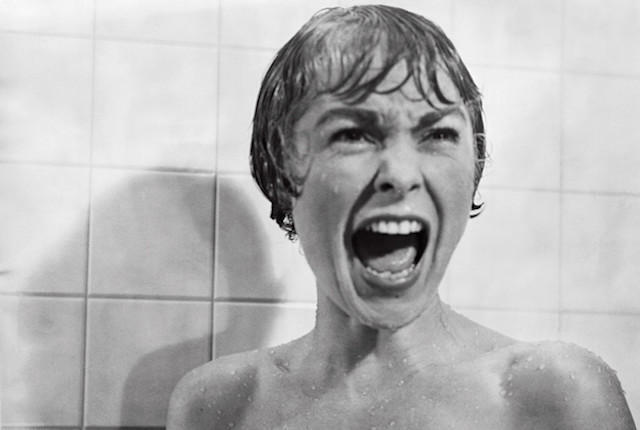 Jamie Lee Curtis’ mom, Janet Leigh is considered the original scream queen, due to her performance in Psycho. Curtis’ role in Halloween makes her a scream princess. You’ve probably heard of the franchise about serial killer Michael Myers, but go back and revisit the film than made the franchise a halloween staple. After Hitchcock, Wes Craven is considered the king of horror films. Younger fans know are familiar with Craven with his horror film/horror parody franchise Scream. The first film in the Nightmare on Elm Street franchise helped coin the phrase “slasher flick” and introduced the world to Johnny Depp. The film that made us all wary of the name Jason and like many other films on the list, sparked a horror franchise. It’s a tragic tale about a group of teenagers attempting to open an abandoned playground only to be thwarted by a drowned child named Jason. It gives us chills just thinking about it. The second Hitchcock film to be featured on the list is about a group of birds that begin to violently attack people in San Francisco. If you’re already afraid of birds, stay away and if you love birds, this film may change your mind. The only other thing as terrifying as giving birth to a demon baby is giving birth to an alien. In this sci-fi horror film, an extraterrestrial creature haunts the people aboard a spacecraft. The Ridley Scott directed film put Sigourney Weaver on the map and made people terrified of aliens. Curl up with a popcorn and a blanket to hide your eyes with and get in the Halloween spirit!